Two important climate change initiatives are advancing and their future success looks more and more intertwined. The Carbon Offset Reduction Scheme for International Aviation (CORSIA) of the UN’s International Civil Aviation Organization’s (ICAO) is approaching the end of a policy-making phase to finalize environmental criteria for offset programs – which will be necessary for airlines to meet the international aviation sector’s climate commitments. At the same time, many countries striving to conserve their tropical forests are looking for sources of funding for large-scale programs for Reducing Emissions from Deforestation and Degradation (REDD+). ICAO recently hosted a seminar in Montreal on carbon markets. The seminar occurred as ICAO Member States are considering draft Standards and Recommended Practices (SARPs) for implementing CORSIA, including environmental integrity criteria for offset programs and emissions credits. With some countries having submitted their observations on the proposals this week, and more slated to do so by April 20th following a series of regional seminars on CORSIA, the 36-member ICAO Council aims to finalize and adopt the SARPs this June. ICAO’s CORSIA Resolution directs the Council to establish, with the technical contribution of ICAO’s Committee on Aviation Environmental Protection (CAEP), a standing technical advisory body to make recommendations to the Council on the eligible emissions units for use by the CORSIA. While the Council is establishing this body, proponents of different programs like the Clean Development Mechanism (CDM) and REDD+ will be informing decision makers about their ability to supply high-integrity offsets. REDD+ is the only sectoral set of policy approaches to be featured in the Paris Agreement, which will govern global climate action starting in 2021. REDD+ received special recognition by the world’s climate policy makers, for two reasons. First, dramatic reductions in emissions from deforestation can play a key role in the battle to avert dangerous climate shifts. Second, the world’s nations have set out a multilaterally agreed framework for measuring these reductions, ensuring that forest protection proceeds with environmental/biological and social safeguards, providing basic guidance for market-based transfers of these reductions, and ensuring environmental integrity through accounting and transparency. The UNFCCC’s 2013 Warsaw Framework for REDD+ and related UNFCCC Decisions set a precedent for these programs to proceed at jurisdictional or national rather than simply project scale in order to develop and enforce policies to address deforestation at a large scale, prevent leakage of deforestation, and avoid double claiming of emissions reductions. Parallel to the development of the Warsaw Framework for REDD+, the World Bank, nine donor governments and TNC created the Forest Carbon Partnership Facility (FCPF) to help tropical forest countries prepare plans to reduce deforestation nationwide, and to pilot results-based payments for those reductions. These countries are succeeding in reducing emissions from deforestation – and payments for their results could be issued by the end of 2018. The guidance provided by Warsaw Framework for REDD+ and the upcoming results of the FCPF are two important reasons why REDD+ should be a source of offsets for CORSIA. As the FCPF is demonstrating, REDD+ that meets the UN’s multilaterally agreed Warsaw Framework is achieving real results, and deserves to be a source of offsets for CORSIA. A recent analysis of REDD+ by Climate Advisers demonstrates how REDD+ programs implemented under the Warsaw Framework meet CORSIA’s draft Emissions Unit Eligibility Criteria. Another just released study by Climate Advisers discusses why REDD+ is a good option for airlines needing to meet their CORSIA obligations. What are other potential offset suppliers for CORSIA? During an ICAO seminar held in February in Montreal, potential offset suppliers gave short presentations of their programs to an audience of about 200 people. Reviewing the workshop program, one can’t help but notice a big focus on the CDM. The CDM’s existence is not guaranteed in the new post-2020 climate regime for many reasons. 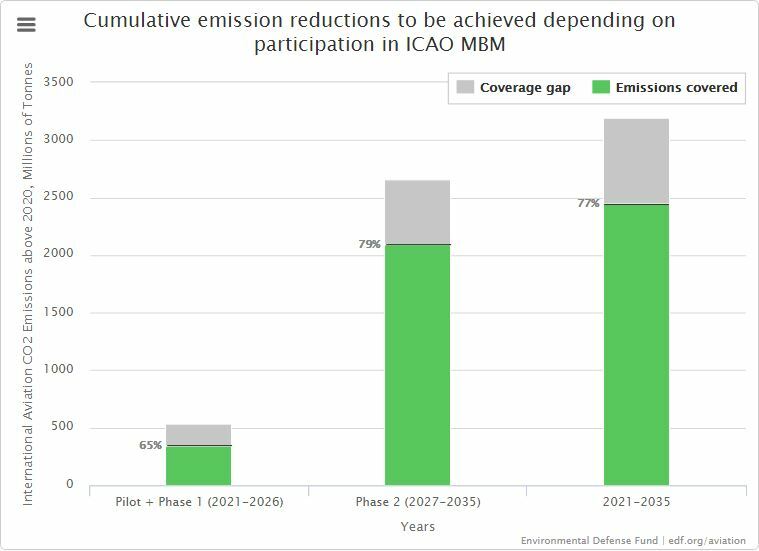 But one prominent factor is the risk that if the CDM actually did achieve real reductions, those reductions could be claimed both by the host country in the context of the Paris Agreement, and by an airline in CORSIA. That would negate the climate benefit of CORSIA. Flawed CDM credits should not be allowed to crowd quality REDD+ credits out in CORSIA. But can REDD+ actually supply CORSIA? EDF researched this question and found that the answer is yes – even when doing proper accounting to ensure no double counting. Another interesting finding is that if REDD+ is used, many emerging markets could see net economic benefits. See, for examples, analyses by Climate Advisers of net benefits for Colombia, Ethiopia, Indonesia, and Peru. Evaluating CORSIA’s draft Emissions Units Criteria, REDD+– under the Warsaw Framework for REDD+ or the FCPF– meets or exceeds them. Sourcing offsets from REDD+ offers more than just environmental benefits. In addition to generating significant potential supply of emissions reductions, REDD+ activities can also generate significant economic and social co-benefits, in addition to offering higher regulatory certainty than other mechanisms. CORSIA policy makers would be well advised to acquaint themselves with REDD+ – the only sectoral program for the new Paris climate regime agreed upon by 193 countries. In the middle of terrifying weather headlines – mega-forest fires in California, serial super-hurricanes slamming the Caribbean, heat waves in the Arctic – it’s more important than ever to achieve large-scale reductions in carbon pollution, fast. Two new international accords are starting to move industry and governments in the right direction – the UN Paris Agreement, and the International Civil Aviation Organization’s (ICAO) Carbon Offsetting and Reduction System (CORSIA), which this week launches a series of regional seminars to inform aviation stakeholders about the system’s implementation procedures. President Trump’s refusal to face the climate challenge has really only mobilized everybody else to move ahead. But other dangers lurk. A shadowy lobby is pushing hard to revive the Clean Development Mechanism (CDM) – a relic of an outdated, failed attempt at climate action. Contrived under the Kyoto Protocol, the CDM was supposed to let industrialized countries buy carbon credits from emissions-reductions projects in developing countries. These credits were supposed to represent real, verifiable emissions reductions that wouldn’t have happened without the CDM projects. The last part part—“additionality” — is key. Otherwise, developed-world power companies and cement factories just pollute more without actually making any real emissions reductions anywhere. Twenty-one years and almost 3 billion tons CO₂e of purported “offsets” later, we know it didn’t work. Fully 85% of CDM projects are “unlikely to be additional,” says the most comprehensive, up-to-date study of the CDM. (It’s only “unlikely” because it’s typically very hard to tell what would have happened if the projects didn’t get done). The corruption has become systemic, especially in the biggest CDM countries – China, India and Brazil – where 90% of the credits come from. A US State Department analysis of wind power projects in India that could generate as much as 500 million tons of CO₂e credits found that project developers routinely keep double books. They do one term sheet showing the project is viable to get financing, and another term sheet for the CDM, showing that the project is inviable without CDM credit, i.e., is “additional”. A project that needed carbon credit to work would be far too risky for a bank to finance, investors said. Brazil is a major offender. Its biggest CDM player, state power company Eletrobrás, told the CDM Executive Board that its Amazon mega-hydroelectric dams needed CDM credit to attract investors. At the same time, it told investors that the dams were fully viable on their own. We know this in part because the same dams (all registered, validated, and generating CDM carbon credit) are under investigation in the gigantic, Brazil-wide corruption investigations nicknamed “Lava Jato” (Car Wash). They are also prime exhibits in a lawsuit for fraud in US federal court brought by investors in Eletrobrás stock. The dams are, of course, socio-environmental nightmares too. In short, there are excellent reasons why the EU Emissions Trading System no longer accepts CDM from Brazil, China and India, as well as whole categories of projects, and why California’s carbon market categorically rejects international credits from anything resembling the CDM. This in turn is part of the reason that CDM credits have effectively zero value in the market. They will go on having zero market value unless the CDM lobby (led by Brazil) in the Paris Agreement and CORSIA succeeds in foisting them onto the new markets. If they get away with it, both the new, promising agreements to lower atmospheric carbon will be irrevocably tainted. Environmentalists and government negotiators should keep fake CDM carbon credits from high-emissions emerging economies out of Paris and CORSIA, at risk of increasing rather than decreasing GHG pollution. There are much better – real – ways to control emissions, which I’ll be addressing in a future post. Government negotiators met in Montreal last week to seek agreement on a global cap on carbon pollution from international aviation. Bilateral negotiations are continuing, and text of a draft resolution is expected to be considered at the triennial meeting of the UN’s International Civil Aviation Organization (ICAO) in early October. Aviation’s total global warming impacts are more than double those estimated from its carbon dioxide (CO2) emissions, or equivalent to roughly 5% of total radiative forcing from CO2. Nitrogen oxide emissions and aviation’s impacts on clouds add significantly to the warming effect of carbon dioxide. 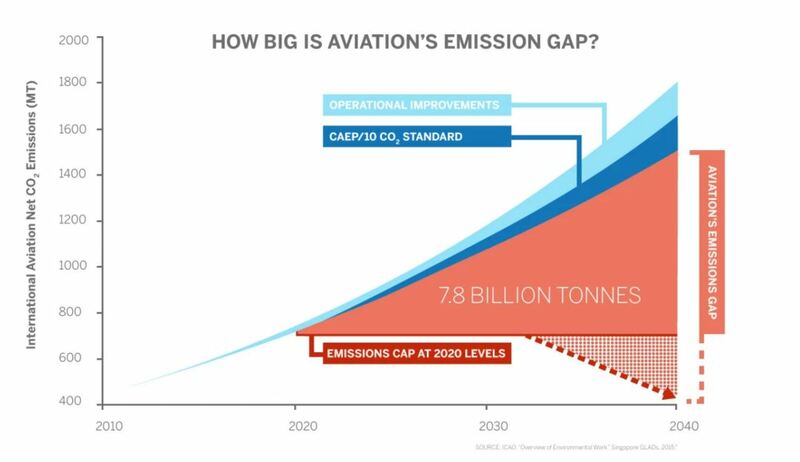 Without new policies, aviation emissions could compromise the goal of the 2015 Paris Agreement to limit the increase in global temperatures to 1.5 – 2 degrees Celsius above pre-industrial levels. Aviation pollution causes harm to the climate, but a warming climate also creates challenges for aviation safety and operations. According to industry experts, in high temperatures, planes can’t carry as much. 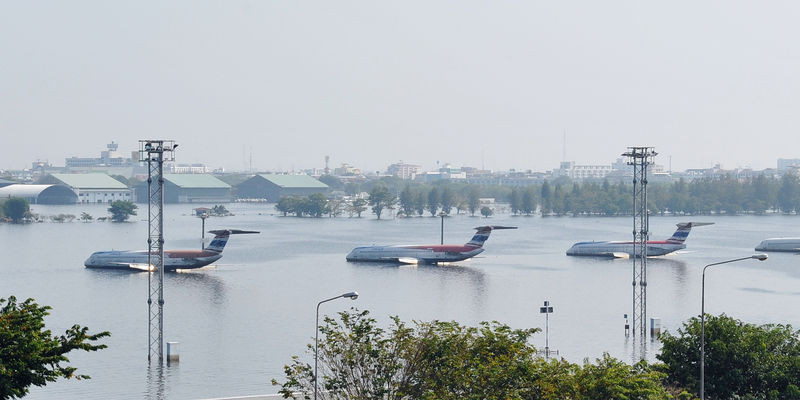 Airports risk damage to runways from storm surge and rising sea levels. Passengers and crew may be exposed to more turbulence. New electronics, sensing, and communication technology may be needed to reduce the risk of exposure to severe weather. To contain aviation’s impacts on climate change, experts from industry, policy, and law call for a market-based measure to cap emissions from international flights. Legal experts recommend that an MBM can be established as a set of “standard” under the existing Chicago Convention, the foundational treaty for international aviation. Compliance with existing standards is good but not perfect. The experts show how market entry conditions, domestic transportation statutes, and conditions imposed by aviation financial services and trade associations can be used to bolster compliance. Expert contributors to the issue recommend that the coverage of the MBM be broad. They caution that exemptions from a market-based measure could distort the market and disproportionately benefit the wealthiest individuals in those countries. Other contributors show that policies to reduce emissions from deforestation and forest degradation (REDD+) can help meet international aviation’s demand for emissions offsets, even after taking into account existing commitments and demand for offsets. Further, a “keep what you save” policy that allows air carriers to use their own fuel use reductions to reduce offsetting obligations could help resolve current debates over allocating offsetting obligations between air carriers. This fall’s ICAO General Assembly is a critical moment for countries, and the aviation industry, to demonstrate leadership in providing safe international air travel while minimizing risks to the climate. If countries don’t agree to the market-based measure in October, the world may have to wait until ICAO’s next General Assembly in 2019. With rapid growth of aviation pollution, that’s a delayed take-off that none of us can afford. Click “read more” to see key takeaways from each article of the special issue of CCLR. The journal’s publisher, Lexxion, has made the special issue free to access through October 7, 2016.